Health & Safety: Have you done enough to keep your boiler safe? Employment Legislation – How will the apprenticeship levy affect employers? President’s Message – Coinmech reprogramming – what is a fair price? To Refurb or Not to Refurb? Life Vice President’s Message – Oh dear, what can the matter be? Employment Legislation – Visible tattoos? Editorial Comment – A Winter of dis---content? Doing the washing app – will laundry apps impact on our marker sector? Employment Legislation – Are your employees fit for work? Reduction of VAT in the launderette industry??? Employment Legislation – Employment Handbook – why have one? Editorial Comment: 2015 – a year of mixed fortunes? Editorial Comment – The silly season must be upon us! Health & Safety: Asbestos again – the latest! Health & Safety: Lest we forget! CleanEx: What a Weekend! What a Success! Responsibility – when is a launderette owner responsible for customers’ belongings? Editorial Comment – Reduced rate of VAT? Why do fires start in launderettes? Found the right person to take on – now what next? Editorial Comment – We held a party and nobody came! A changing world – adapt or die! Employment Legislation - Are you thinking of taking on a part time employee? Editorial Comment: 2013 – As one door opens another five close! Health and Safety: Your Council of Management – now and in the future! Employment Legislation: 2013 – a good year for employment lawyers! Editorial Comment - Turn your radio off! Launderette security – Amazing New service! Editorial Comment: Good news is no news? Health and Safety: Is this the worst economic downturn for 80 years? Why be a NALI member? Employment Legislation: Can the employer claim compensation when an employee is called for jury service? Editorial Comment: 2013 – onward and upward? Health and Safety: Drying washing indoors coul be an Asthma risk! The JLA Clean Show is back! Editorial Comment: It’s a kilo Jim – but not as we know it! Editor’s Comment: The last of the summer swine? President’s Overview: Am I a competent person? Employment Legislation: Part time, full time – or could it be something else? Insurance matters: Is the pressure getting to you? Health and Safety: The danger of aerosols! Employment Legislation – When does holiday become sick leave and sick leave become holiday? My clothes disappeared at the launderette, what can I do? Could the climate be any worse for us? Employment Legislation - Will fattism in the workplace become commonplace? Out of the frying pan and into another one? Employment Legislation - Appraisals – why do them? Indesit – We Work, You Play! Literally! Absence makes the heart grow fonder – or maybe not? Employment Legislation - I think I’ve got flu … or is it just a cold? Employment Legislation – I’m pregnant! Well – well – well! Zero VAT rating for launderettes? Chairman’s Comments - ‘NALI’ – the ‘AA’ of the industry? Energy prices at Large Consumer prices – HOW? Employment Legislation - Thinking of taking on casual workers? Chairman’s Comments - One man’s innovation – but another’s nightmare! 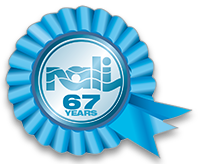 NALI once again proves its ‘watchdog role value! Chairman’s Comments - Government to shutdown launderettes that fail to save water! Health and Safety - Beware that well-intentioned ruling not in our best interest! Haunted once again by the spectre of inflation! Beware those ‘charity’ publishing scams! Mobile phone road death tariff raised to seven years! There’s no launderette quite like the one at home! EHO suggests ‘Launderette Watch’ scheme to help raise standards! Employment Legislation - When staff absences need to be financially covered – by you! Why pay over the odds for launderette business legal advice? Insurance Matters - The global financial crisis and you! Employment Legislation - Expensive retirement gift – cheaper than a gold clock? Shell Gas Direct asked to make an offer” on bulk price discount scheme. ‘Shock-theme leaflet to prompt Associate- Membership take-up. Launderette ‘Love Bug’ now gets mobile! Mutual benefits of ‘Associate Membership’. Convenience is the key to on-going viability of launderette operations. Chairman’s comments: Do we get the ‘recognition’ we really deserve? Feed-back for LCW on U.S. ‘Clean’ 07 Show. NALI looks to industry support for future UK shows. Go ‘on record’ to safeguard an insurance pay-out! Threat to UK Safety Law. Safety in Launderettes and On-Premise Laundries. Getting to grips with ill-feeling between colleagues. Yet still more Government by ‘Stealth’! that could lead to holiday tragedies. Your Tax – Their Incentive! Get yourself a clean Bill of Health! Chairman’s comments: Summertime Blues – and Boreholes. Smoke-free Law now a matter of fact. NALI ‘Associate Membership’ offer to EHOs. Insurance matters: “Once Burnt, Twice Shy”. Dismissal of an employee for ‘Misconduct’ can put you on the wrong side of the law if you get it wrong! @Associated Liver@ honour long service employees. Insurance matters: A Silver Lining? Chairman's comments: Tales of woe and construction. Obituary: Armstrong chief and war-time mines ‘killer’. 25 years service to launderette health & safety. What is dangerous about asbestos? NALI meet with DTI over utilities’ costs. My new neighbour is a Bulldozer! Chairman’s comment: The nuclear option. Editor’s comment: Need for viable service charges. Employment legislation: Beware of an advertisement that brings unwanted response! Insurance matters: Current trends assessment in launderette insurance. Health and Safety: Asbestos update. Don’t let an accident ‘waiting to happen’ simply happen. Editor’s comments: United we’ll stand. Now we’re on local radio! NALI representative’s views on DTI meeting. Chairman’s comments: Lemmings to the slaughter? Employment legislation: Now is the time to review employment practices! Insurance matters: The small print. A wake-up call for duvet cleaning! Editor’s comments: A changing world! Less light in a carbon footprint. Over-zealous EHO comes to call. - or a duvet full of mites? London trade show: Report and pictures. New faces in NALI management team. Chairman's comments: The question of methane. Health and Safety: Fire Safety risk assessment. Insurance matters: It can pay to pay a little more! Employment legislation: The 'last post' sounds for cigarette smokers! S.E.D. Deadlines for Operators with Dry Cleaning equipment. That NALI ‘Check List’ is important! Rate Reduction and a smoke free zone. Insurance Matters – ‘Financial Services Authority’. Looking for a new gas and/or electricity supplier? The electorate has made its choice. Chairman’s comment: Orlando – here I come! The ever present threat of spontaneous combustion. Insurance Matters p Is your business always attended? Employment Matters – Don’t ignore that request for flexible working! Written terms and conditions of employment. Why remove asbestos-containing materials when encapsulating is the answer. Obituary – veteran of the laundry industry since 1931 – Mr Mal Deeley. Encouraging support for NOLA exhibition. Employment Matters – When is a resignation not counted as a resignation? Coin-operated Dry Cleaning Machines - Deferral of PPC Permit Applications. The Housing Act 2004 and Fire Safety. Is it now too dangerous to go to Work? A commitment to Service Standards vital to Meet Future Challenges. Direct Members' Representative Leeds NALI Council for 2005-2006. Bruce Herring Takes 'Centre Stage' in new NALI Council Line-Up. New NALI Website in Place to Herald Start of 2006. "A Day " and "U Day". Government measures to tackle workplace violence. Water, water everywhere – and not a drop we drink. Air Supply for gas-fired water heaters. Health and Safety requirements for Launderettes. Insurance Matters – Why add-on ‘Terrorism Risk’ insurance may not be too high a price to pay! Compliance is the best form of damage limitation. Chairman reflects on the liability in the small print. Insurance Matters – The Claims Professionals. Electrical Safety in the Launderette. NALI’s army of secret recruiters. Industry buoyancy encourages interest from entrepreneurs. Chairman reflects on ‘Making a good impression’. Insurance Matters – In cases of insurance fraud you are the victim! Retirement of launderette personality Peter Lowery. Health and Safety – Consider changes that are feasible and realistically affordable. Guide to NALI’s Coin-Op Laundry Exhibition. The Landlord & Tenant Act. London Underground failed to derail NALI coin-op laundry event. Chairman reflects on ‘prices and posters’. Maintenance of portable electrical equipment. Insurance Matters – Normal business to be resumed as soon as possible. A Risk Assessment for a typical launderette with dry cleaning. Obituary and tribute – Victor D Webb. Brush up on your health and safety awareness. Training Centres for CORGI recognition. Thumb up – or a thumb down? Insurance Matters – the doctrine of utmost good faith. Statutory Procedures in Disciplinary Actions. All you need to know about Paypoints. In Memoriam – John Mitchell. Twelve into One does go! Insurance Matters – handling customers’ claims. Never is so much (potentially) lost. It’s no less a Public Health danger than tobacco! Compliance with the Disability Discrimination Act. Insurance Matters – Insurance Premiums to fall in line with climatic changes. Laundromat business powered by tradition - and the motorcar! New Format Accident Record Book. Launderette business burned by sun factor. We’ve been there, done it, got the T-shirt! Government ‘sacrifices’ coin-op dry cleaning. Insurance Matters – Be peaceful, diplomatic - and remove temptation. Getting to grips with customers’ (ever changing rights!). Compliance with the Law is not an option! Proposed new (Asbestos) Code of Practice. NALI acknowledgement in FSB asbestos report. Insurance Matters – Cost-cutting is a dangerous policy. Contracts for electricity and gas. How to win Customers and influence Profits! The bank that didn’t want our money! The Inland Revenue wants its pound of (tax) flesh! FSB Policy Statement supports NALI stance on asbestos. New talks on fire safety laws. Insurance matters – the public represents a potential liability! A way of life that continues to attract the entrepreneur. Insurance Matters – Policyholders jointly pick up the bill. NOLA meeting – Water to do! New Legislation challenge to coin-op dry cleaning. Business (and costs) on the up and up. Insurance Matters - Why does a launderette need special insurance? Asbestos revisited – the continuing saga. Media and MPs back CCL promotion. Your response to NALI’s CCL initiative. Contracts for gas and electricity supply. Your guide to industrial and Commercial gas and electricity suppliers. No risk assessment – then you’re at risk. Sequel to the ‘Encapsulating’ Asbestos story. MPs urged to reflect on CCL. They’re playing the ‘weighting’ game! Bourbon Street and all that jazz. When all else fails – be self-reliant. Pay rates in East Anglia lead the way. In Memoriam – Ernest Hardaker. The Future Financial Health of the Launderette. A Risky Wager (Understanding the rules and Regulations for coping with the minimum wage). Consultation document on part-time work. Have you registered for effluent discharge? Mandatory Health & Safety Poster. Do your staff really know what is expected of them? Employment Law: Don’t be dismissive. It’s the Look that says ‘Welcome’. Health and Safety, now that Autumn’s here. You wouldn’t by any chance be thinking of selling your launderette? Insurance Matters: In the Heat of the Night. A stronger and more influential body. Group ops. Reflect on a ‘Steady as you go’ Year. associate editor of ‘Laundry and Cleaning News’. Insurance Matters: Why have insurance if you can’t claim? HSE update on current regulations.